Today, March 10, is officially National Ranch Dressing Day. What could possibly be the relevance to menswear, you ask? Well, I managed to find a connection for National Potato Day so let’s use today’s observance to explore and celebrate that oft-tragic American phenomenon, the ranch suit. 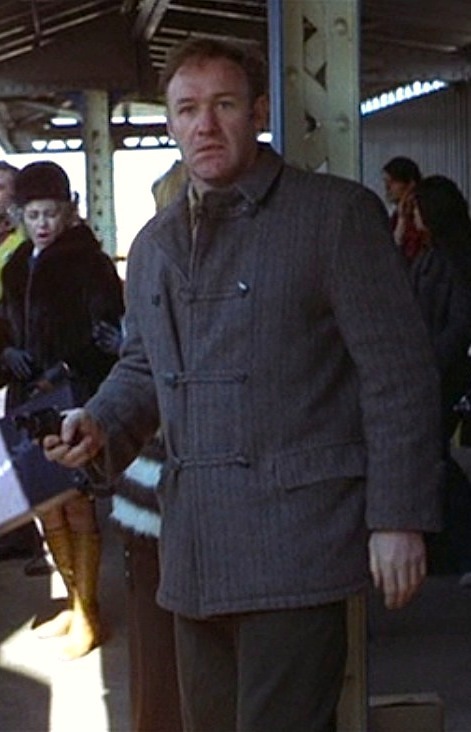 Gene Hackman as “Popeye” Doyle in The French Connection (1971). Over his right shoulder is Eddie Egan, the real-life inspiration for the character. 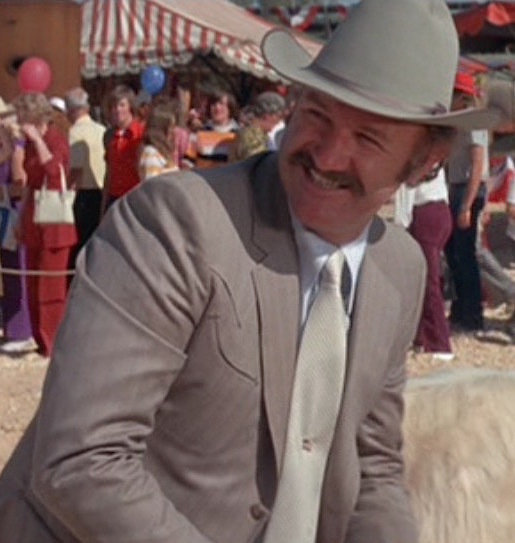 Happy birthday to Gene Hackman, born this day in 1930! 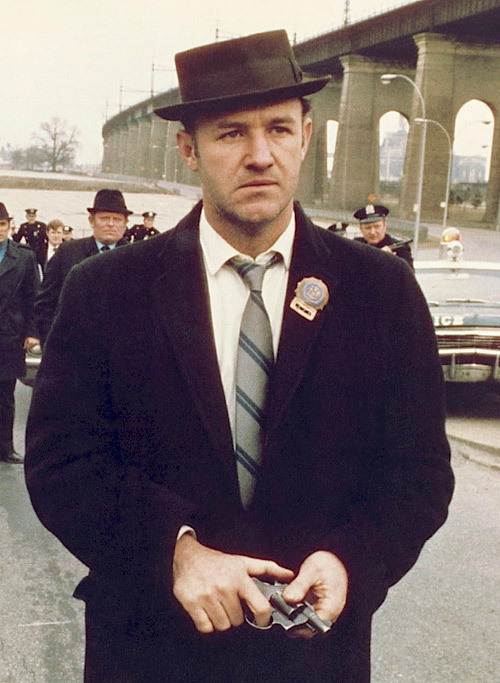 This year’s Academy Award nominations were announced last week, so today’s post explores the birthday boy’s first Oscar-winning performance as NYPD narc “Popeye” Doyle in The French Connection. Gene Hackman and Estelle Parsons as Buck and Blanche Barrow in Bonnie and Clyde (1967). Happy birthday to Gene Hackman, who turns 86 years old today! Bonnie and Clyde marked the first major role for Hackman, who had spent much of the ’60s as a struggling actor who shared rooms with fellow struggling actors Dustin Hoffman and Robert Duvall. 1967 turned out to be a banner year for the friends and roommates, earning Hackman and Hoffman their first Academy Award nominations. 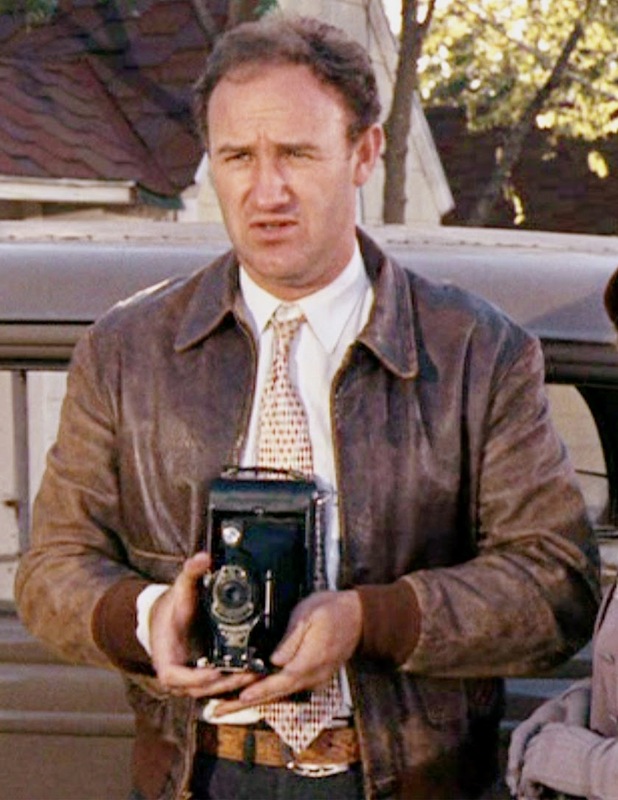 Gene Hackman as Buck Barrow in Bonnie and Clyde (1967). 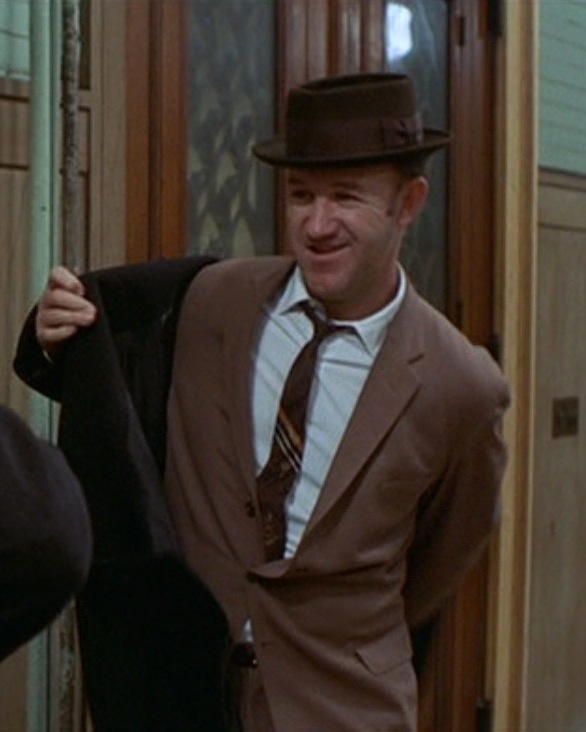 Gene Hackman as “Popeye” Doyle in The French Connection (1971). Car chases have been engrained in American cinema since the early days of the Keystone Kops. As the interest in cars grew, auto manufacturers began highlighting their most innovative products through on-screen action. The James Bond franchise innovated the use of car chases with Goldfinger‘s gadget-laden Aston Martin DB5 and a conveniently placed Ford Mustang convertible. The Mustang poked its head out again for the seminal chase in Bullitt as Steve McQueen faced off against a black ’68 Dodge Charger in his Mustang GT-390. After Bullitt, filmmakers began exploring the possibilities of cars on film. New, exciting cars were showcased like the new Dodge Challenger in Vanishing Point to the new Mustang Mach 1 in Diamonds are Forever.